Power Blink! Help for your Dry Eyes. This is the starting point of a POWER BLINK. For those of you who follow my blog, you know that I put a lot of weight into good quality blinks. Want your eyes to feel better? Start by practicing the POWER BLINK on a regular basis! When you are reading, driving, and especially when you are on the computer, you actually blink less. It is estimated that during those activities, your blink rate is reduced by 70%. Yes, I said 70%. And remember that not blinking is to your eyes like not breathing is to your lungs. What is a POWER BLINK? A strong, full blink wipes away the old tear film and distributes a nice fresh tear lake full of nutrients and relief. 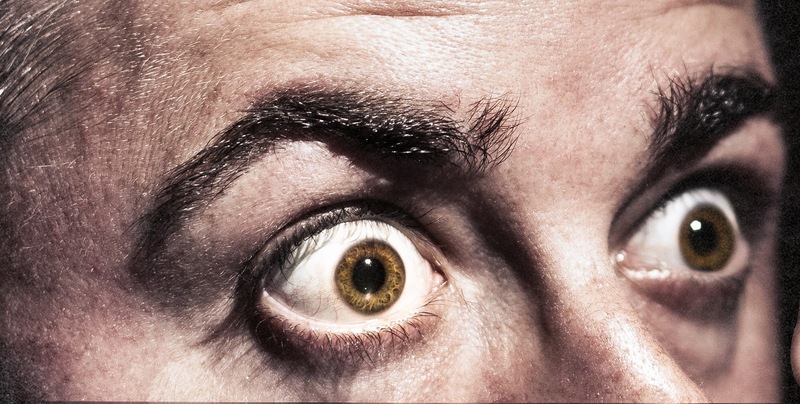 We know from previous studies that people with dry eyes do not blink well, but a recent study revealed two interesting facts about blinking. Many do not close their eyes completely nor do they blink as often as those without dry eyes. The length of their blinks were also measured, and not surprisingly, when they do blink, they hold their eyes closed 2.5 times longer. So, is it the chicken or the egg? Do you develop dry eyes because you do not blink as often, or do you not blink as often because you have dry eyes? Do dry eye patients avoid blinking because when they do blink, they have to hold their eyes closed longer which is disconcerting when you are reading, on the computer, driving or even trying to carry on a conversation with someone? So start practicing your POWER BLINK right now. Give your eyes a full, strong, eyes-completely-closed BLINK. What do I do if I get a damaging liquid in my eye? 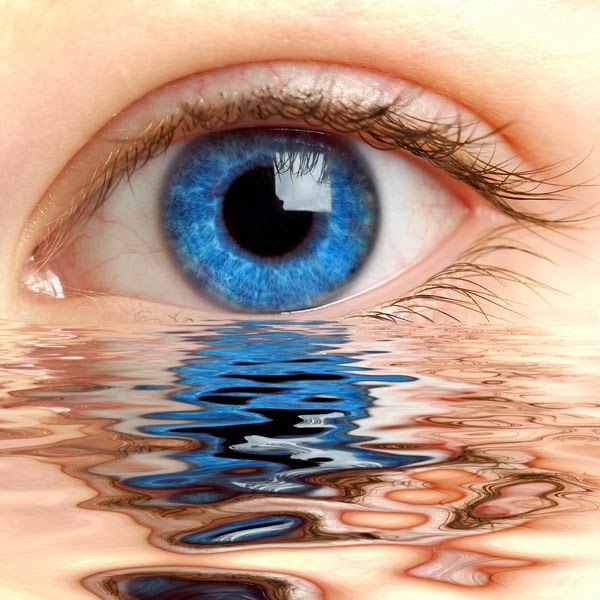 If you inadvertently put the wrong liquid into your eyes, immediately rinse with lots of plain water or saline solution. This is one of those times where the old eye cups would be useful. When you are done rinsing, use a thicker artificial tear solution, such as a gel, to re-lubricate your eyes. If you have persistent pain, redness or blurred vision, by all means call our office. There is a doctor on call 24/7 who can advise you if immediate attention is needed. If something more toxic, such as drain cleaner, battery acid, ammonia based cleaning products, dry wall or concrete dust, gets into your eyes, a trip to the emergency room nearest to you is recommended. A full 20 minutes of continuous, thorough rinsing and pH testing are needed to completely remove these products. …..BUT, before you go to the emergency room, do an immediate rinse wherever you are. I do not care if you rinse with a garden hose. The faster your eyes are washed out and the toxic solution diluted the better. 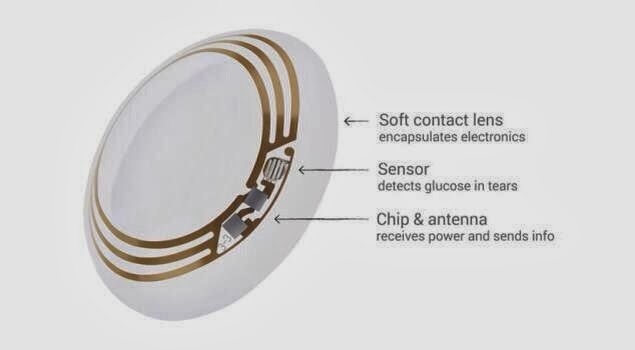 Even a 5 minute ride to the hospital can be more than enough time for potentially blinding damage to occur if these solutions are present full strength. It is common to be concerned if the word acid is in a description of the fluid, but solutions with the opposite pH called bases, such as ammonia, can cause much more rapid and severe damage to your eyes. 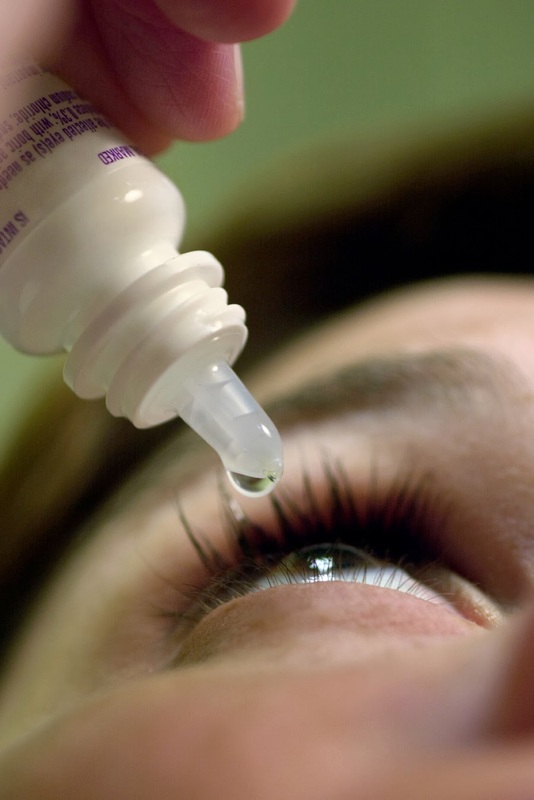 EYE DROP SAFETY IS IMPORTANT. The New Year is a good time to take a few minutes to SEPARATE your artificial tear bottles and all your eye drops from ALL other similar containers. Let me say that again…. Now is a good time to take a few minutes to SEPARATE your artificial tear bottles and all your eye drops from other similar containers! We see it every day in our office when a patient has pick up what they thought was their artificial tears and placed a drop of ear wax remover, etc into their eye. Luckily some of these solutions can be easily rinsed out but some like glue cannot. OK…On your mark, get set, GO!!! Separate your bottles of tears from all similar products now! Don’t think it can’t happen to you.